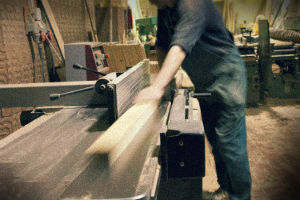 Here at Sinnott Kitchens and Interiors in Kilkenny we are a family run business established in 1975 by Paddy Sinnott. Paddy remains actively involved in the business and now works closely with his son Shane. Together they are custodians of a proud tradition. That tradition is one of superb quality and excellent service – giving you the individual attention that you deserve. Your tastes are unique – as is your home. So everything we do for you is bespokely made to measure – created with outstanding craftsmanship here in our Kilkenny workshop to perfectly fit and blend into your home. We take great pride in that individual attention – but more importantly you deserve it. We have customers now whose parents we sold to many years ago. Those longstanding relationships are testimony to our focus on outstanding quality combined with excellent customer care. If you do decide to have us work with you on your exciting new project then we fully intend to be here to help your children when they have flown the nest and are looking to put their own stamp on their own homes. 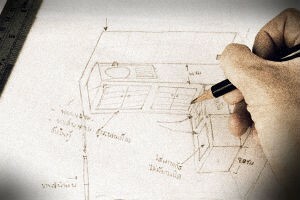 You are in safe hands with Sinnott Kitchens and Interiors. Let our family take care of yours. Whilst we are already master partners with Neff and Siemens, we have broadened our range of appliances to now include other top providers such as Aga and Smeg. (For a full listing see here.) In recent years we have also expanded beyond kitchens to now offer interior furnishings (bedrooms, studies, panelling & flooring) and decorations (e.g., Cole & Son wallpapers). The homeowner was our first type of customer – and will always be hugely important to us. We now however also work with landlords in both the residential and commercial sectors. Another important new sector for us is the hospitality sector where we now work closely with hotels (bedrooms & bathrooms) and restaurants. Your project may have a variety of ancillary requirements from specialists such as plumbers and electricians. It may also require the sourcing of a variety of components. We would be glad to act as project managers on your behalf if that would be of value. For homeowners we also appreciate that you are spending hard-earned money. So we would be glad to handle the paperwork to help you avail of the Government’s Home Renovation Incentive Scheme. The scheme could help you get a tax credit for 13.5% of what you spend!